Will you stand up for a child? Attend a free informational meeting and learn more about supporting foster parents in Hall County. 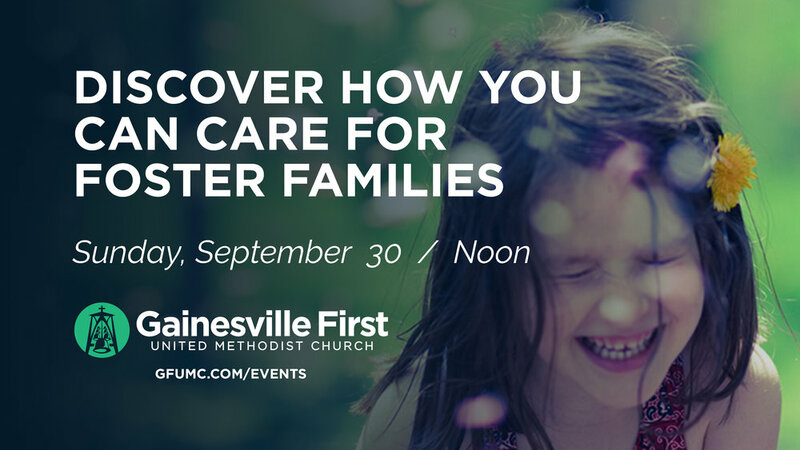 Join us on Sunday, September 30 at 12pm in the Reception Hall. Contact Misty Leach mleach@gfumc.com to RSVP.